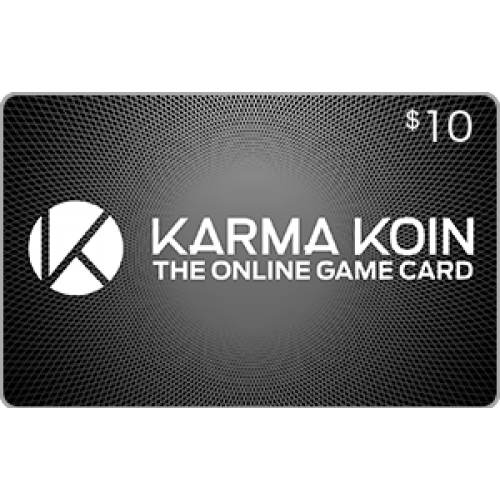 Karma Koin gets your cash online so you can buy what you want, when you want, without having to use a credit card. Just by buying the things you want, you can help create positive change. One percent of each purchase made using a Karma Koin card goes to charity. Terms and Conditions: This KARMA KOIN prepaid digital gift card may only be redeemed online at the service providers listed at www.karmakoin.com. Third party software and hardware may be required for some uses of KARMA KOIN. All use of this prepaid virtual gift card is subject to the use and license terms available at www.karmakoin.com. KARMA KOIN reserves the right to change these use and license terms from time to time without notice. Prepaid virtual gift cards are not redeemable for cash, cannot be returned for cash refund or exchanged, and are not for resale (except where required by law). Protect this virtual gift card, and its associated PIN information, like cash. 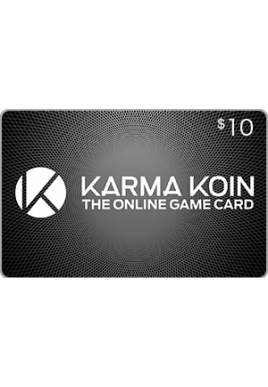 KARMA KOIN is not responsible for lost or stolen virtual gift cards and/or PINs. This virtual gift card is void where prohibited or restricted by law. Issued by Nexon America, Inc.
ScratchMonkeys Terms & Conditions: PLEASE NOTE THAT ALL SALES ARE FINAL AND THERE ARE NO REFUNDS ON DIGITAL PRODUCTS. Receive tips, gaming news, and promotions from our newsletter. © 2019 ScratchMonkeys. All branding and logos are a property of their respective owners and ScratchMonkeys claim no rights to the same.